Little Arzaan Shaikh plays Kalyani-Malhar Rane's son Moksh aka Pillu on Tujhse Hai Raabta. Scroll to watch a super adorable video of Malhar and Pillu. 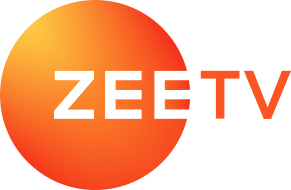 Sehban Azim and Reem Shaikh starrer Zee TV show Tujhse Hai Raabta is one of the most loved daily soaps on television. Sehban is seen as ACP Malhar Rane while Reem plays his wife Kalyani (Deshmukh) Rane on the serial. The latest episodes of the TV series saw the addition of a rather cute member of the Rane family, Kalyani and Malhar’s son Pillu aka Moksh. The munchkin is the apple of everyone’s eyes in the Rane household. Recently, Sehban Azim and Reem Shaikh both shared a super adorable video of their on-screen child on Instagram. The video which has been breaking the internet shows Pillu and Malhar in a cute banter. The former seems to be pretty fond of his reel daddy, besides, that infectious baby laugh is just too sweet. “Kuch toh hai Tujhse Hai Raabta.” Sehban had captioned his Instagram story while sharing the clip. The role of Pillu aka Moksh is played by baby Arzaan Shaikh. The cutie pie is the newest star on the block, and his cuteness has only added to the popularity of the show. Needless to mention, this video is hands down the cutest thing you will see on the internet today. No wonder Malhar and Kalyani cannot get enough of their son. For those unaware, Pillu is Malhar’s son from his first wife, Sampada. After the latter abandons their newborn and stages a suicide, Malhar marries Kalyani to seek revenge. However, Kalyani takes care of Pillu as her own child and loves him more than anything. On a scale of 1-10, how cute is this video of Pillu and Malhar Rane from the sets of Tujhse Hai Raabta? Comment with your replies in the box below.